T.E.A. 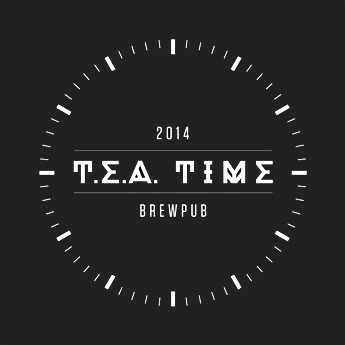 Time is a fully working craft brewery and pub combined into one! Our bar is devoted to beer. Enjoy up to 8 real ales served from UK hand pumps and other craft ales available on tap. Our ales are all served in UK pint glasses (13% more than 0.5ml). We also serve Polish cider and some fine Czech lagers. Our mix of local customers and tourists create a great atmosphere where you will feel welcome and can enjoy stimulating conversation. Our tap room adjoining the bar has high tables and comfortable chairs. 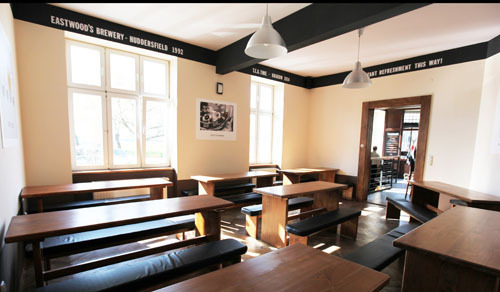 The decor has many interesting features that connect visitors to our British brewing history. A trip downstairs to our basement is essential for any visitor to T.E.A. Time. In addition to our brewing rooms and cask cellar, you can play darts, watch live sport on TV - and learn more about how we brew and view certificates from our brewing history. Our tables and chairs outside provide a perfect place to sit and enjoy a refreshing ale, whilst watching the world pass by in this scenic corner of Krakow! Our passionate, friendly team are all part of the T.E.A. Time story. We hope to see you again soon! Come for the beer, stay for more!